If you’ve been following along with the blog, I’ve been working with Birthday Dreams, a local Seattle organization dedicated to giving homeless kids birthday parties. Well, they are having a big event this Saturday from 10:30-1 at New Life Church in Renton. Birthday Dreams is celebrating it’s own 5th birthday! If you’re in the area, there will be family fun with raffles, games, crafts, face painting, and entertainment. 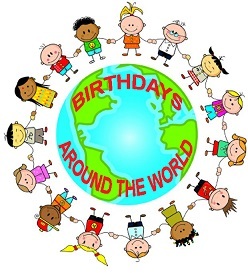 The theme is “Birthdays Around the World” and kids will have a chance to learn about how different cultures celebrate birthdays. Tickets are $10 per person or $30 per family of 4. Kids under 2 are free. Buy yours over at Brown Paper Tickets, and help support this great organization! I’ll be there as well, so come over and say hi! Hope to see you there!